Come on in & stay awhile. 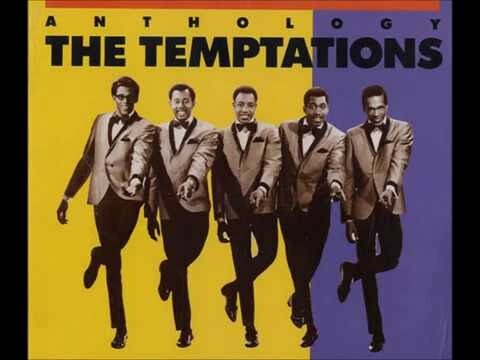 Can I get you a drink? Game day hospitality isn’t any different from hosting friends & loved ones in your home & the bond you share with your football family is priceless. Folks make the time & effort to arrive to campus from all over the country via planes, trains & automobiles. You experience a roller coaster of emotions with one another week after week from September to January. And if you’re not physically together, you’re texting one another during the game & posting photos on social media to stay in close contact. Can you believe that play call… that’s terrible! The friendships are truly magical so a special way to honor them is by creating a lovely space to welcome guests. The tailgating tent is your home away from home so it should be an extension of your exceptional good taste. Once the basic fundamentals have been covered, a few simple extras are sure to mirror the cozy warmth you wish to convey. Follow my tips & advice for truly effortless ways to pull it off. Style. The tent is an opportunity to share your good taste with others. Once the necessities have been secured, get in the spirit & make it a space all your own. White is always going to be your best option. It’s a solid foundation piece & any team color looks great with it. If you love a soft glow once the sun goes down, a string of simple white lights is a good choice. Outline the entire tent in them for a beautiful, even design. Start with the tent legs & work your way up from there. The cleaner the line, the better it will look. Three 8-foot tables are ideal foundation pieces for creating a gorgeous atmosphere with plenty of room for food, serving pieces & a centerpiece, if desired. Invest once in serval white tablecloths that can be used for years to come. Make a few burlap table coverings to use as accessory for a pretty, layered look by positioning them to the front of the table. 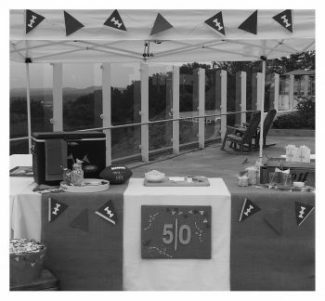 You can then decorate the front with bunting for an extra bit of spirit. 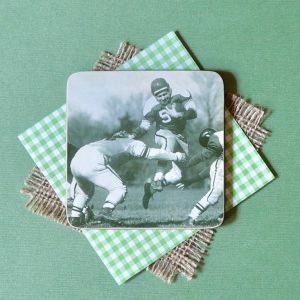 It’s always a good idea to set aside several items that can be used each weekend for game day soirees. Neutral elements will always look the best & give you an opportunity to tuck in swags of team colors for a pretty finish. A sharp cooler, galvanized steel, white acrylic trays, slate boards, a few wooden crates plus a set or two of Mason jars will set the tone flawlessly. Once you’re ready to put it all together, layer the pieces in a variety of heights for interest. Have a set spot to organize plates, napkins & flatware. Create a separate beverage location to keep bottlenecking at bay. Tuck in a few pressed linens to elevate the table & you’ll have the most polished tent around. Hand crafting a few extra style elements will have your space looking fabulous instantly. 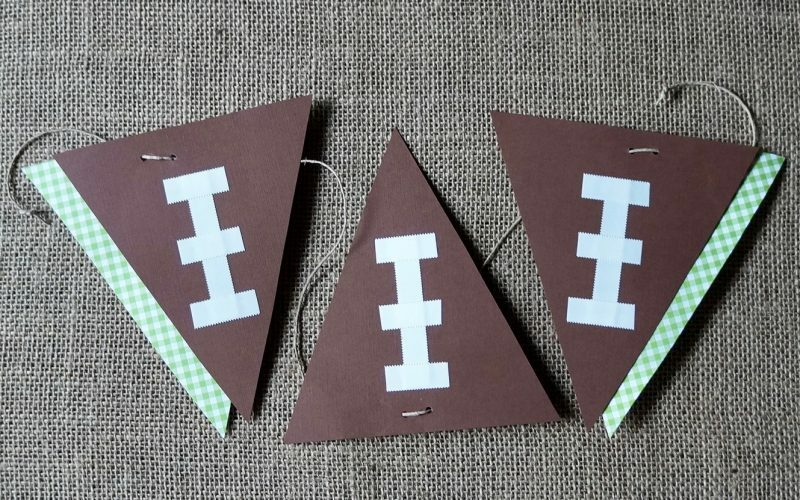 Football Bunting, Gridiron Tailgating Bags, Pennant Swizzle Sticks, Play Call Tailgating Sacks & Tag Football Sacks can be sprinkled throughout the space to add just the right amount of game day charm. Be sure to follow my simple instructions for making a festive 50 Yard Line Tent Plaque to sport in your tailgate tent, too. A few minor supplies will have this charming idea finished quickly. Follow my tips to get your tent in top shape. Get ready to host tailgating socials in the most stylish space to date. A foam board serves as the base for this adorable piece. Use a razor sharp tool to cut it into any size you wish. Iron a piece of burlap an inch or two larger than the board then attach with a stapler on the opposite side. Pull the fabric taut for a crisp look. 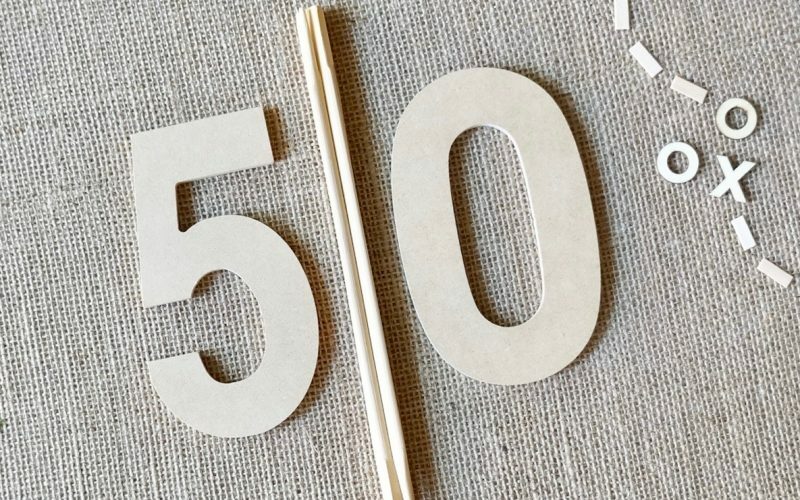 Large wooden numbers can be purchased from craft stores & a pair of chop sticks leftover from a take out meal creates the line mark. Attach the pieces in the center of the board with old-school glue. 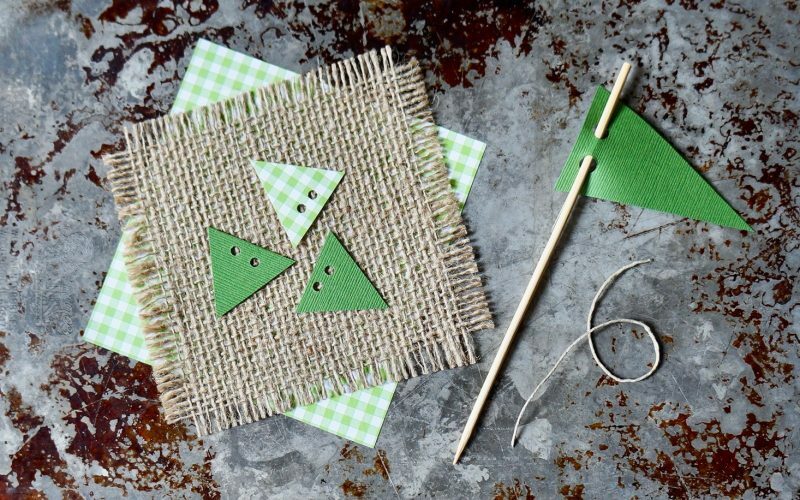 Cut small triangles from craft paper & create a line of bunting. Pierce holes using a craft punch & string the shapes together with hemp twine. Insert your team colors for a custom look. Pennants can be woven through the burlap to pull the color through the piece. Look for my easy instructions to make these finishing touches soon. 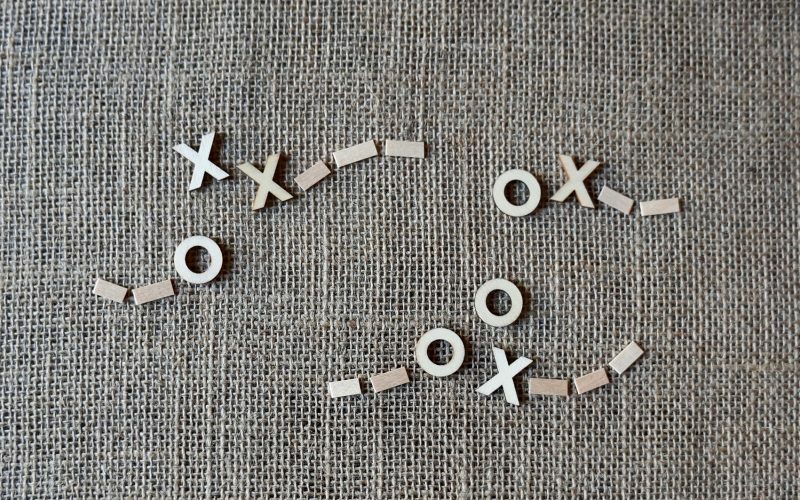 A diagram of X’s & O’s are a fun way to add game day spirit. Pick up miniature wooden letters from craft stores. 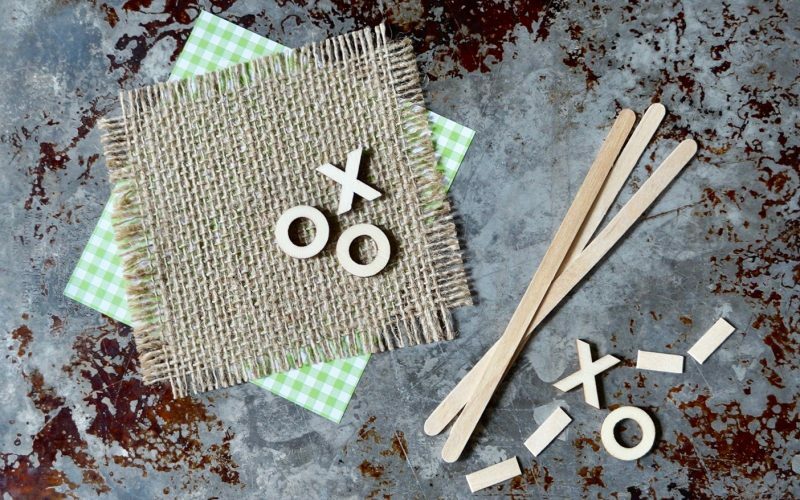 To make the dotted lines, snip wooden coffee sticks with a pair of scissors. Attach the pieces to the burlap covered board with old-school glue.